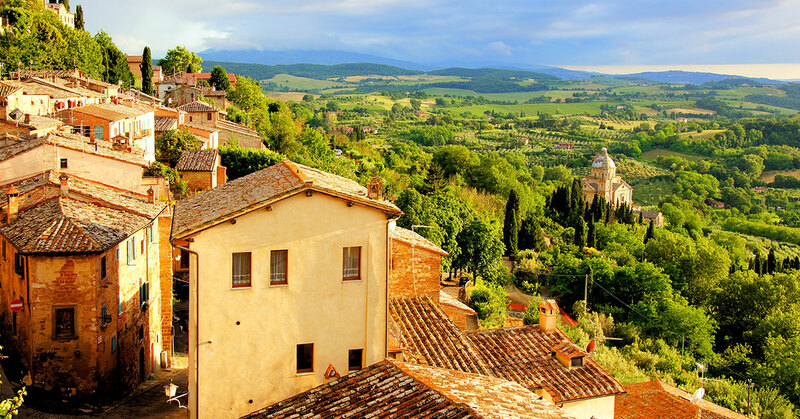 This town is a beautiful example of Tuscan Medieval Village on the top of Siena hills, also known for the wine: Nobile of Montepulciano. Inside the ancient walls, that in the past time maintained safe the inhabitants from the attack of the soldiers coming from Florence, the historical centre developes through narrow roads. When you walking inside the centre you can taste the flavour of the history, you can see by your eyes the ancient valley called Val d’Orcia, the best conserved area of the Tuscan hills. 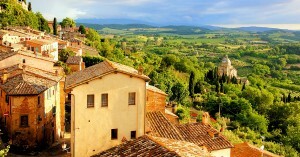 The most beautiful photos you can see on google images from Tuscany are from this area. All around shops, restaurants, cafè, wineries will lead you to the top of the village, where enjoying beautiful squares, churches and amazing panoramic views. Also you can taste a lot of different wines from the wineries in the area. A must to do is spending also free time into winery that gives you the opportunity to visit the underground cellar and to taste local products like wine, pecorino cheese, olive oil and more other specialists. Also we advise a lunch on Fattoria Pulcino, just outside Montepulciano village. The owners are very friendly and give very traditional menu. Bellaitaliatour arrange Private tours on Montepulciano and Montalcino area with departures everywhere in Tuscany, also from Livorno and Lucca. The tour includes lunch inside a winery and wine tasting in two wineries with visit of “cantina” and vineyards.